There are more than 6.4 million car accidents in the U.S. each year, so it is highly likely that you will end up in being involved in a traffic incident at some point during your life. Unfortunately, this could cause you to deal with an expensive automobile repair, and you might even end up seriously injured. If this happens, it is important to contact a car accident attorney for assistance. In 2010, 10,228 people were killed due to the actions of a drunk driver. This makes driving under the influence one of the deadliest and most common traffic accidents. Many DUIs also involve a hit-and-run driver, and this can exacerbate the situation, especially if the police are not able to determine who the drunk driver was. Everyone speeds sometimes, but it is critical to keep a close eye on your speedometer and to remain in control of your vehicle at all times. Otherwise, you could end up responsible for one of the estimated 13,000 annual deaths that are caused by a speeding driver. Driving while under the influence of narcotics or any prescription medication that slows your response time will be charged the same way as an alcohol related DUI. However, it is important to note that several studies have indicated that drug usage behind the wheel is becoming more common. In fact, 10.2 million respondents to the 2006 Nation Survey on Drug Use and Health admitted to driving after using drugs. Approximately 100,000 traffic accidents are caused by drowsy driving each year, but this does not prevent 62 percent of U.S. drivers from continuing to drive while they are fatigued. Sadly, this easily preventable issue also leads to an average of 1,500 deaths annually. According to Distraction.gov, 387,000 people were injured by a distracted driver in 2011. Additionally, 3,331 people died because a motorist was distracted by either a cell phone, a piece of in-car technology, food, another accident or a passenger in their vehicle. All motorists are responsible for keeping their vehicle in good running condition. Therefore, if you fail to get regular oil changes and other basic maintenance, you could easily end up causing an accident if a tire blows out or your car breaks down in the middle of a road. How can I Recover My Medical and Vehicle Expenses? If another driver crashes into your vehicle, you should contact an accident attorney to help you recoup all of your applicable expenses. It is also important to note that family members of an individual who dies during a traffic accident may be able to file a wrongful death lawsuit. For example, an intoxicated female driver in Houston was in an accident in October 2013 with two different vehicles. The incident caused a break in one of the other driver’s legs and killed a passenger. In this referenced example, hiring a car accident lawyer Houston based would be imperative. In a situation like this one, the responsible driver is likely to face multiple lawsuits. Hiring legal counsel experienced in handling car accident claims and wrongful death suits is vital during the recovery process. They would be able to help assist and handle all the legalities for a claim to obtain compensation enabling the victim to focus on recovery and healing during the process. 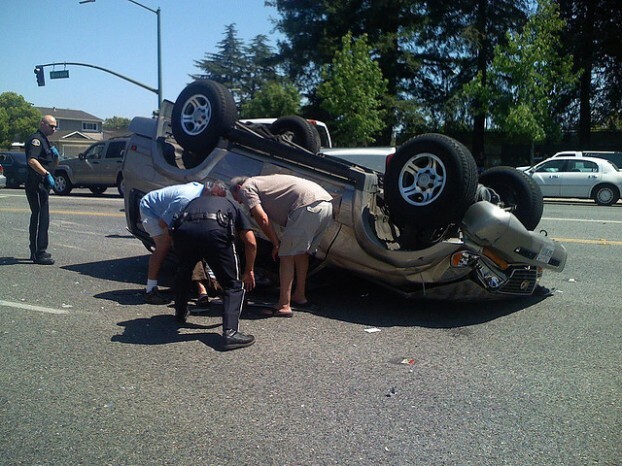 Dealing with a traffic accident can be difficult, especially if you are left with serious injuries. However, it is vital that you contact an attorney right away in order to help ensure that you do not miss out on your opportunity to recover your expenses by filing a lawsuit before your state’s applicable statute of limitations expires. Researcher Lisa Coleman shares some of today’s leading causes for auto accidents and ways to obtain help when involved in one. She recently reviewed online how a car accident lawyer Houston site can help client involved in an auto accident due to an irresponsible motorist within the Houston, TX metropolitan area.